I (me and my family) renovated our home and I practically lived on a building site for a year. It was a big job and as soon as it was over and I lived in a nice house I ended up moving out to my boyfriends house and needed to do work there. It's never ending! I've posted some before and after photos on the blog before and the transformation is pretty amazing if I say so myself. 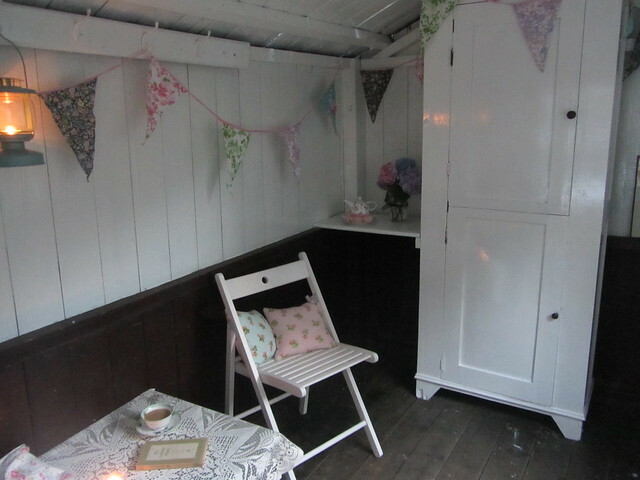 The final challenge at my mums house once the interior was finished was to make a little outdoor space and transform the shed. I had £50 to spend and I wanted to do something ambitious. First up was the slightly onerous task of clearing the shed. 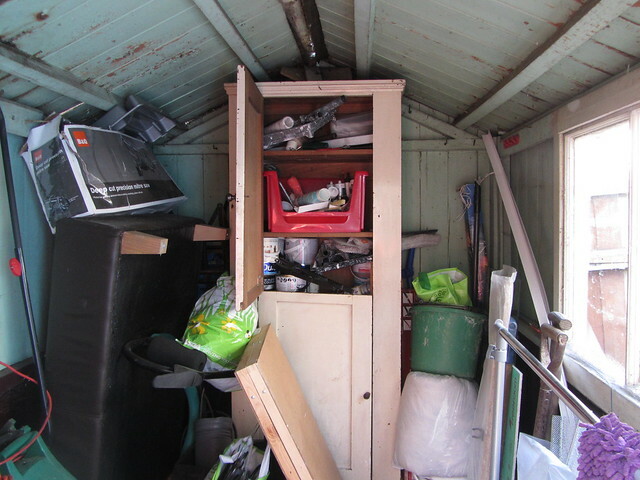 We have a huge garage at the back of the garden that's only half full and much more secure than this shed so it seemed sensible to relocate the contents of the shed up there. 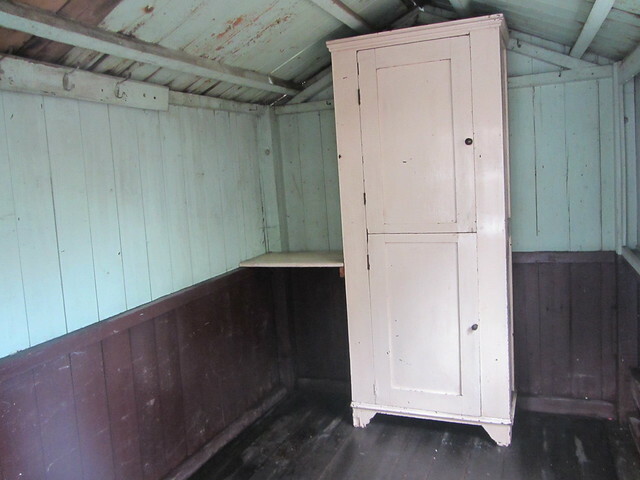 I liked the shed as it was, a bit shabby and run down and it reminded me of a beach hut or the Dylan Thomas Boat House but the wood hadn't been treated for years and needed some attention before the wood deteriorated and I suppose it was a little grubby. Removed flaking or defective paint and sanded down the surface to remove any sheen. Made sure the surface was clean (no dirt or grease) and dry. 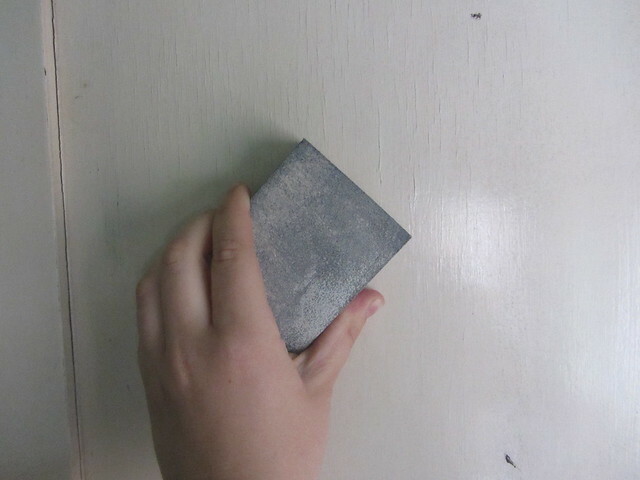 To use the surface preparation paint I stirred thoroughly before use to ensure completely mixed, oil settles at the top. 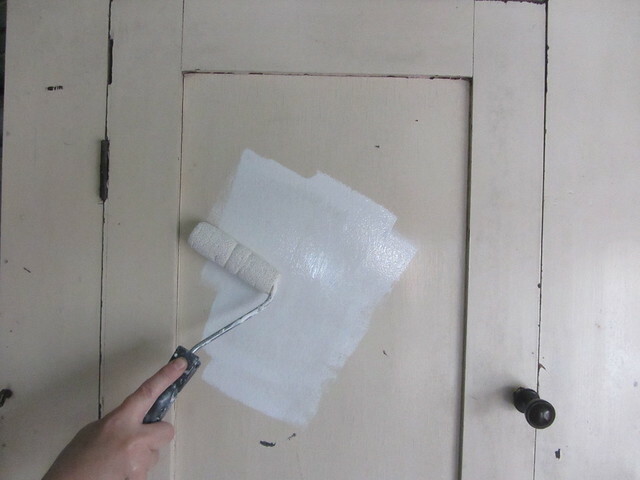 I applied 1 coat with a brush/roller to previously coated surfaces or 2 coats to bare surfaces. I left 2 hours to dry between coats. After leaving the paint to dry over night I applied a top coat of white gloss suitable for wood to the wall and ceiling. Such a messy job, I still have some in my hair that just wont come out! 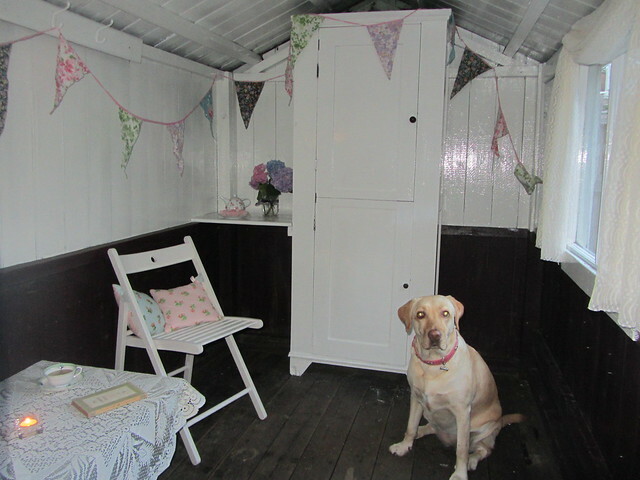 Next came the fun part of dressing my lovely new 'Summer house', I already had a lot of decorative items like the cushions and the table cloth so I only really needed to get some bunting to add colour. 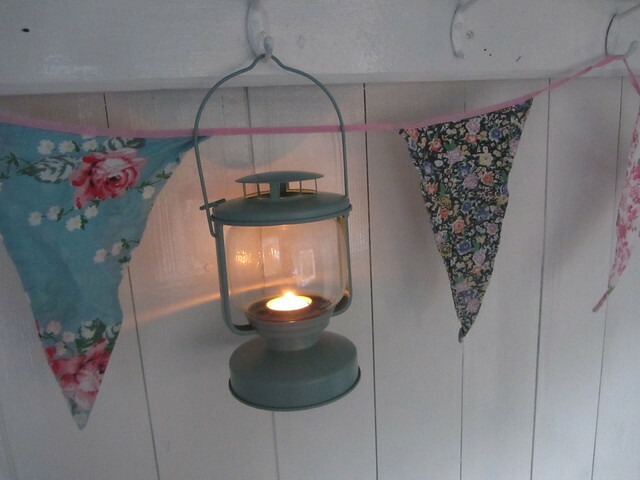 My bargain Ikea lamp was £6 and I know this will get lots of use in the evening when I'm in here reading. I might pop back to Ikea and get some of those fairy lights that you pop batteries in to make it extra cosy. 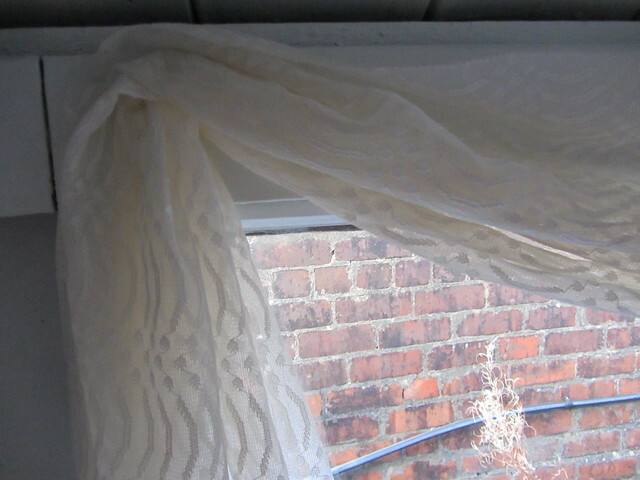 I picked up this bit of lace in a charity shop for 20p to use as a table runner but it's never been used. I used little pins and a hammer to secure it to the wooden window frame to dress the window. Not entirely functional but the window is facing a wall so I'm not being overlooked in the shed. 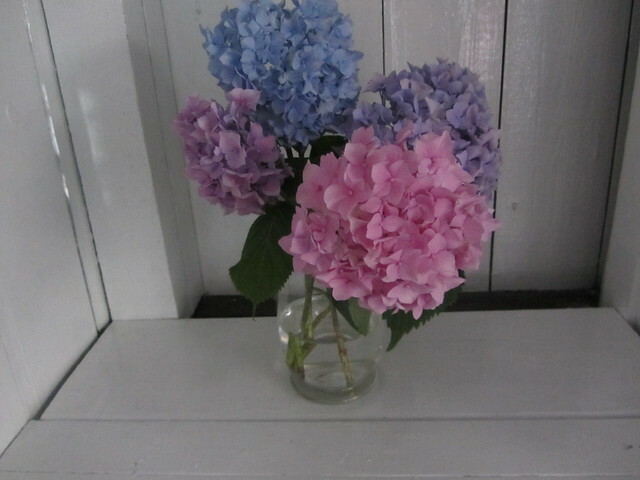 The gorgeous Hydrangea came from my front garden, I love my free supply of flowers in the summer. 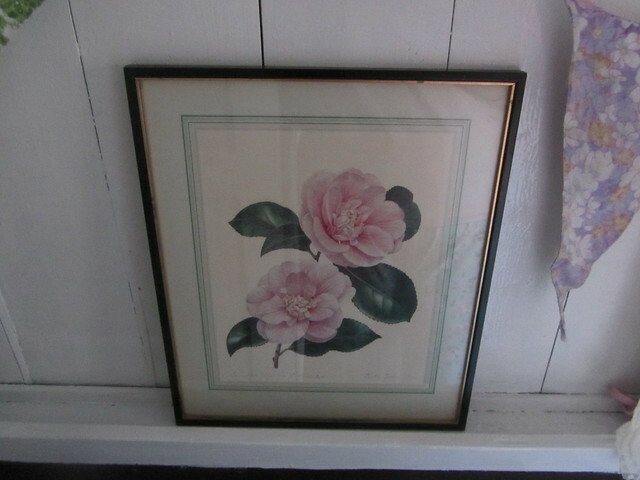 Another charity shop find coming in at just £1.50, such a pretty print. Sookie loves the make over too. So there you have it, with a lot of effort and a small budget you can make a huge difference. I originally posted this makeover in 2013 but I'm sharing it again as part of the Spring Clearing Hacks Project with Space Station. That's lovely - but I can see it took a lot of hard work to get it looking so nice. Aww this is adorable Gem, so cute! I want a summer house when we eventual sort our massive garden!